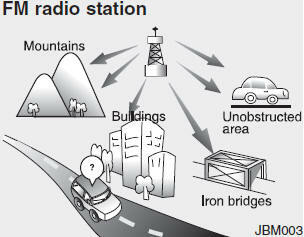 AM and FM radio signals are broadcast from transmitter towers located around your city. 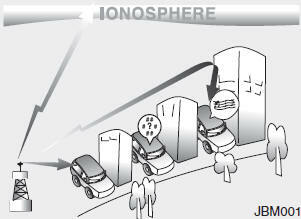 They are intercepted by the radio antenna on your vehicle. 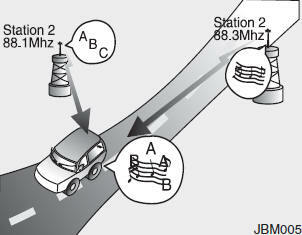 This signal is then received by the radio and sent to your vehicle speakers. 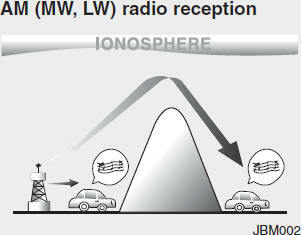 AM (MW, LW) broadcasts can be received at greater distances than FM broadcasts. This is because AM (MW, LW) radio waves are transmitted at low frequencies. These long, low frequency radio waves can follow the curvature of the earth rather than travelling straight out into the atmosphere. 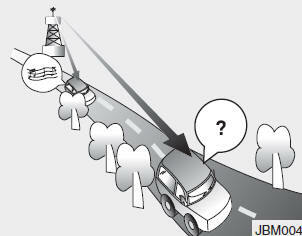 In addition, they curve around obstructions so that they can provide better signal coverage.